1. 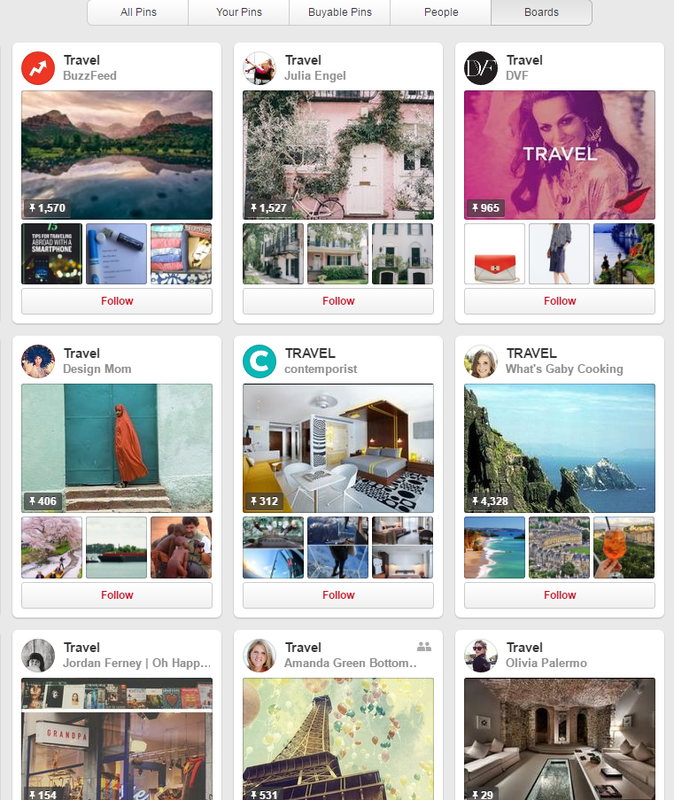 Why is Pinterest important for travel destinations? You may ask: Isn’t Pinterest just a website where stay-at-home moms find cool recipes and quirky DIY crafts? While there may be some truth in that, there is so much more to Pinterest that your destination can benefit from. Pinterest is the place where people dream and plan. Pinners are able to longingly pin an endless amount of fashion items, hair products, wedding ideas, food recipes and vacations they aspire to have, plan or do at some point in their life. So, if we are thinking of this in regards to the buyers’ journey - Pinterest is where people discover and consider many different products and ideas. If you can meet pinners in these two stages with attractive and appealing content, your destination might make it into a pinner’s vacation fantasy board, or it might even become the place a pinner plans to go to as they work on their summer vacation agenda. 2. What should a travel destination pin? Well, if you want your destination to make in into the vacation dreams of various pinners, you are going to need to post attractive and appealing images. There are TONS of gorgeous landscape shots out there, so your pictures are going to need to be top notch in order to compete for pinners’ affections. According to Social Marketing, reddish orange images receive 200% more repins than blue images. Brighter images also do much better than darker images. But that being said, it doesn’t just have to be landscape shots. The Savannah CVB does well on Pinterest. They have unique and creative boards that attract many affinity target groups - some of their boards include: “Family Adventures,” “Savannah Recipes,” “Haunted Savannah,” and other boards centered around hotels, art, Southern heritage, etc. 3. What is the best size image to post on Pinterest? According to Buffer, the best aspect ratio for images on Pinterest is 2:3 and 1:3.5 (with a min width of 600 pixels). You can see more details, here. 4. How frequently should a destination post? Cision reports that in order to optimize reach, one should post 10-15 times a day. 5. How does a destination increase exposure to pins and increase activity? - First off, add a description to your pin! Pins are most successful with a word-count description between 100 and 200. - Make sure you have pinnable images on your website! All you need is the Pinterest Widget Builder. Then anyone who happens on your site, can pin and share any image on your site to Pinterest with ease. - Don’t use short links on Pinterest! Pinterest tends to flag these posts as spam! - Make Rich Place Pins! Going through Pinterest’s Rich Pin Validator will help your posts show up more prominently in searches. Rich Place Pins will show pinners exactly where a place is located. (You can include additional information like address, phone number, website, etc.). - Join and post in group Pinterest boards! This will help you gain exposure to big time pinners. To find the right groups to join, go the website: Pingroupie.com. - You can also read up on our other blog about how to promote Pins.